Sandy beaches, cliffs, ocean and sun. Taken in Mullion and The Lizard in 2015. 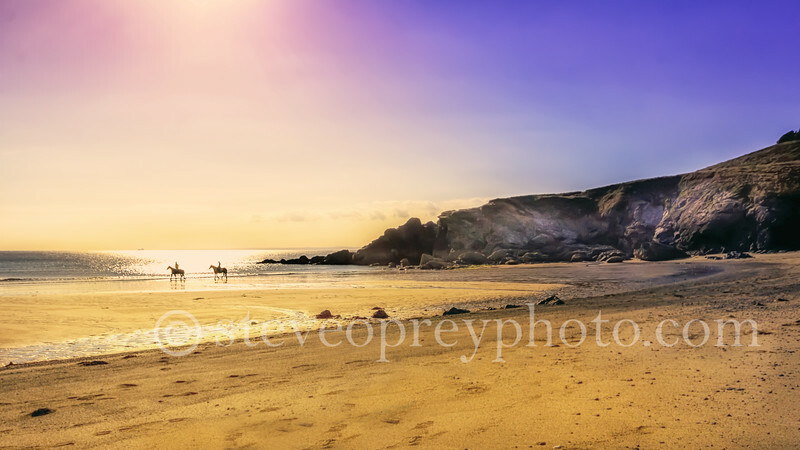 2 lone riders at Mullion Cove in Cornwall bathed in sunlight.